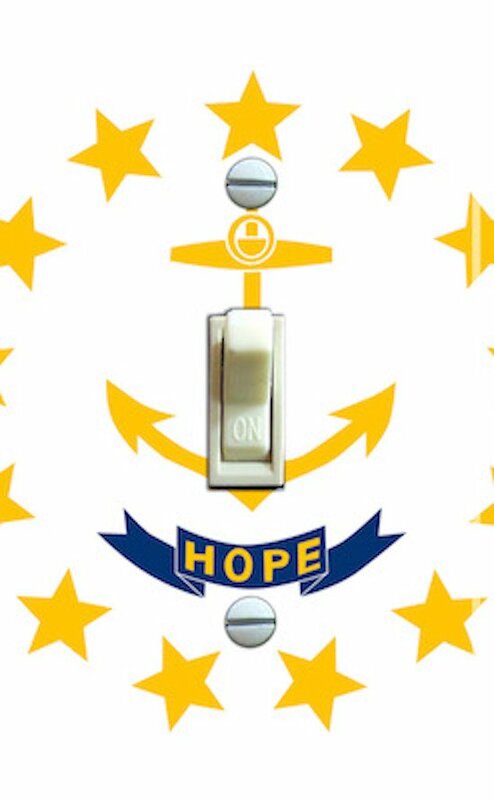 This switch plate is a mini print of the RHODE ISLAND State flag. A standard single plate, about 2 3/4" by 4 1/2". A standard double switch plate, about 4 1/2" by 4 1/2". A standard triple switch plate, about 6 1/2" by 4 1/2".